Measure your personal journey in friends, not miles. 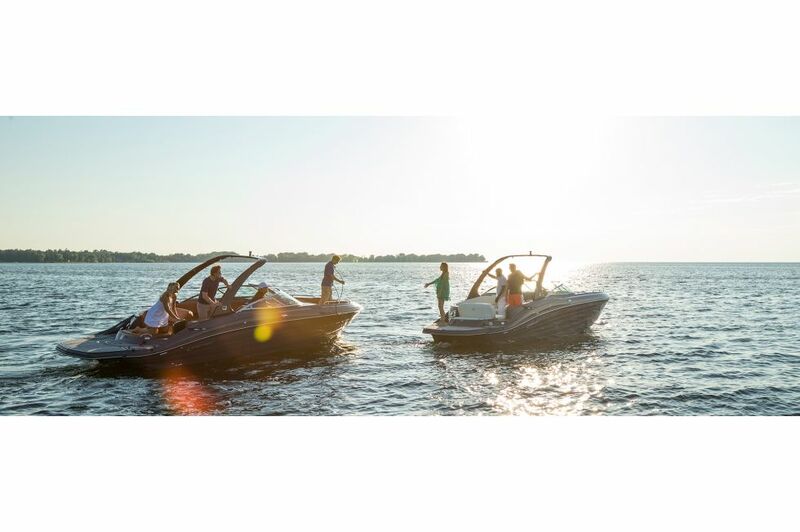 With extensive plush, deep seating arrangements in your choice of sand dollar or vibrant ochre, and a commanding gray hull, you'll be able to spend time reconnecting with those closest to you in style and comfort. 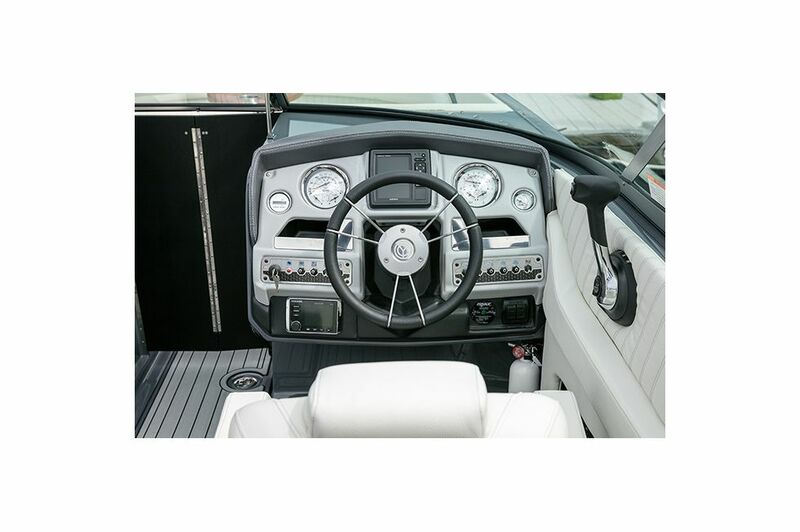 The Cruisers 298 South Beach Edition - Bow Rider puts you at the forefront of engineering and luxury with unrivaled amenities and robust performance. 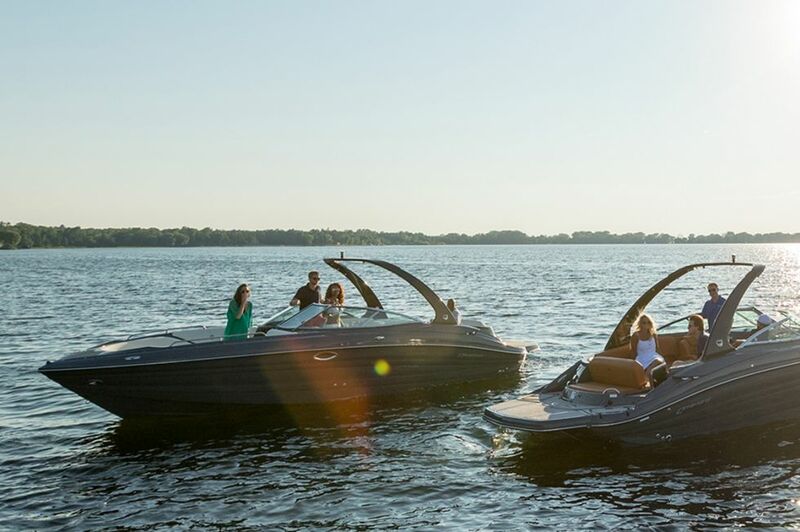 Make the most out of your time on the water – step aboard. Take control aboard the 298 South Beach Edition - Bow Rider. 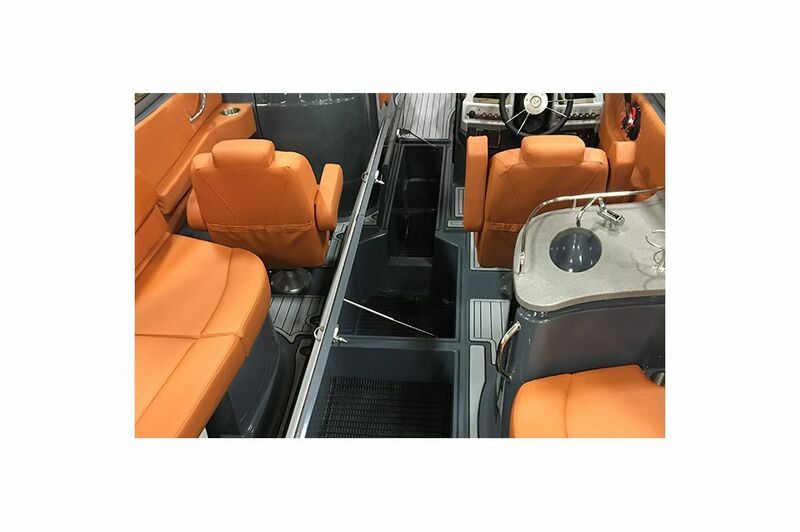 The full suite of gauges and controls allows you to pilot with confidence, and the ergonomic captain's seat is available in your choice of sand dollar or vibrant ochre upholstery. 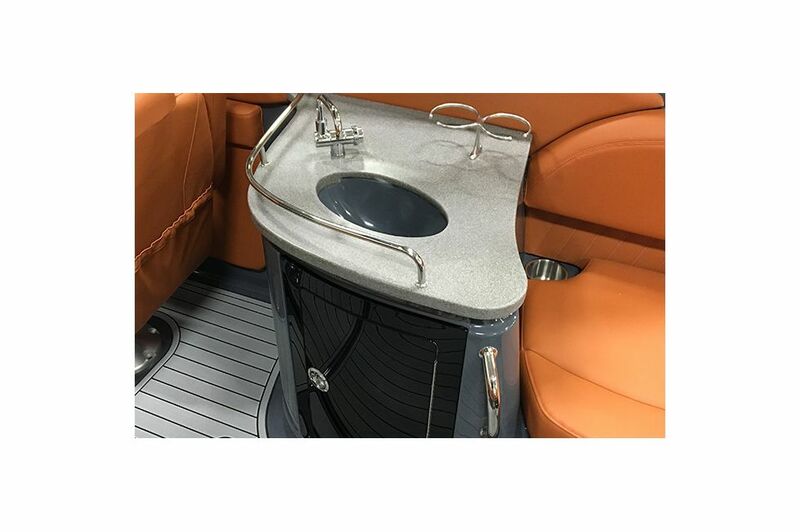 The 298 South Beach Edition - Bow Rider features a spacious built-in head with a toilet and sink, allowing for more time on the water. 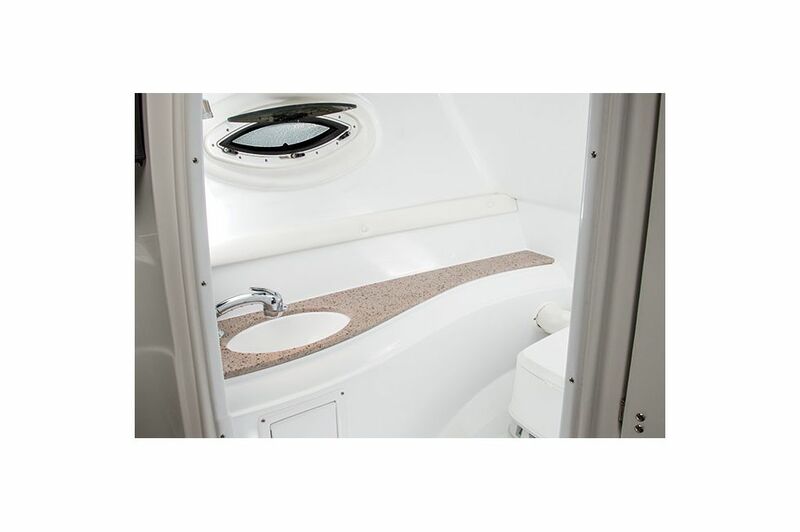 Clean up and get back to the fun with the 298 South Beach Edition - Bow Rider's convenient sink feature. 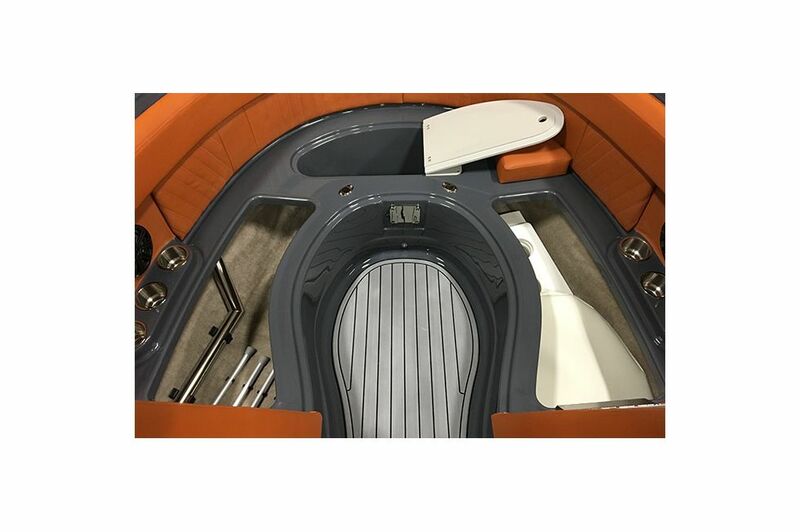 Conveniently change the 298 South Beach Edition - Bow Rider's convertible sun pad to a rear-facing seat to watch the action or nap in the sun. 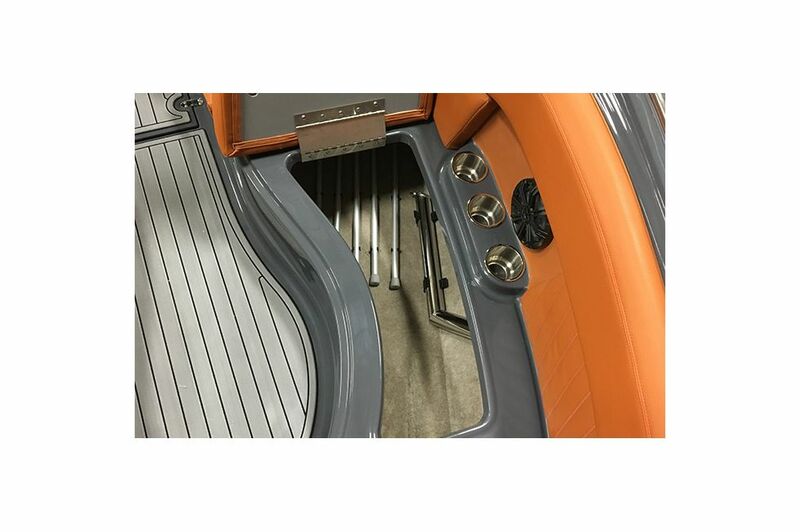 Store your tow lines and ski equipment in the under floor storage compartment of the 298 South Beach Edition - Bow Rider and keep your sporting equipment safe and secure. Store a trash can or other necessities conveniently in the 298 South Beach Edition - Bow Rider's spacious bow storage compartment. The 298 South Beach Edition - Bow Rider features convenient cooler storage to help keep food and refreshments cool in the heat. 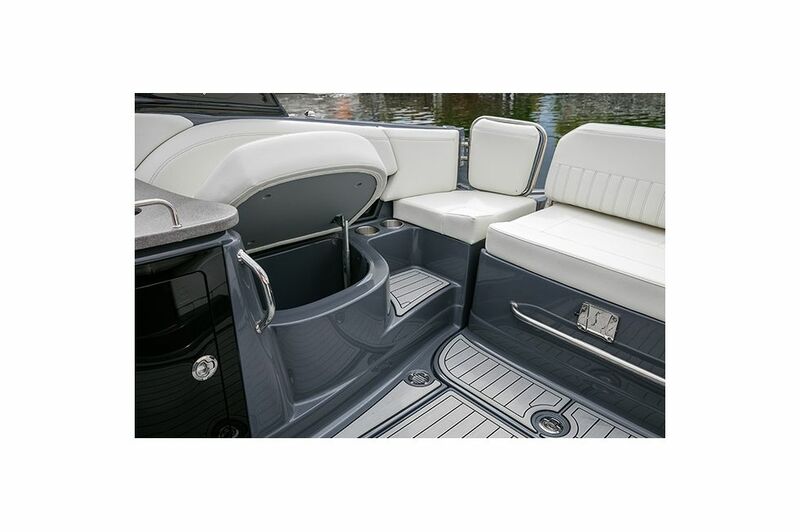 Keep your belongings organized with the 298 South Beach Edition - Bow Rider's spacious aft seat storage. 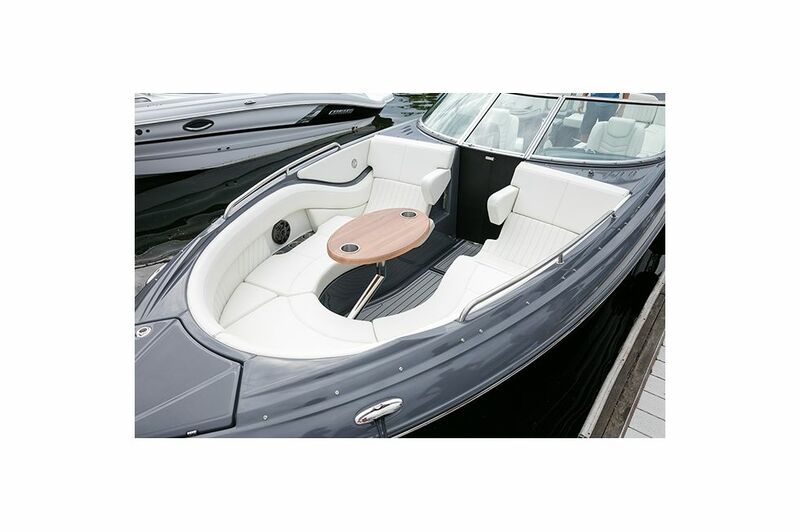 Deep bow seating aboard the 298 South Beach Edition - Bow Rider – available in your choice of sand dollar or vibrant ochre upholstery – includes a convenient table for food and drinks while socializing or relaxing. 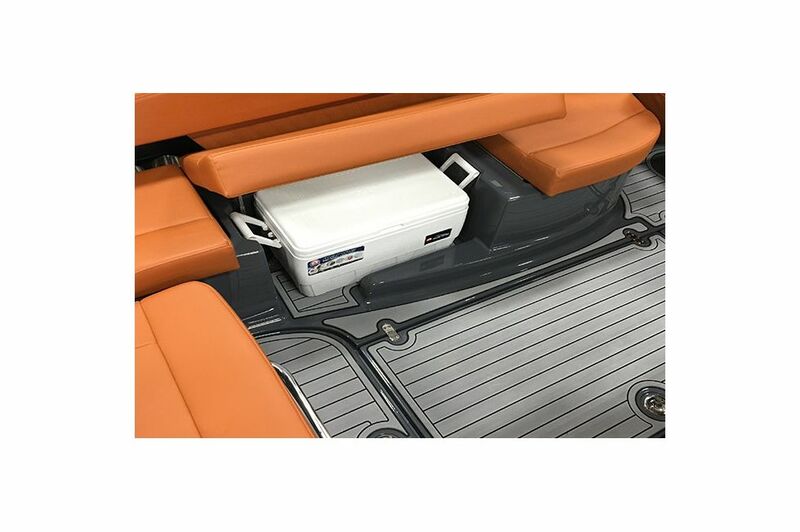 Conveniently store cover poles thanks to the 298 South Beach Edition - Bow Rider's custom-designed pole storage compartment. Add to your 298 South Beach Edition - Bow Rider's aggressive profile with the optional sport arch feature. 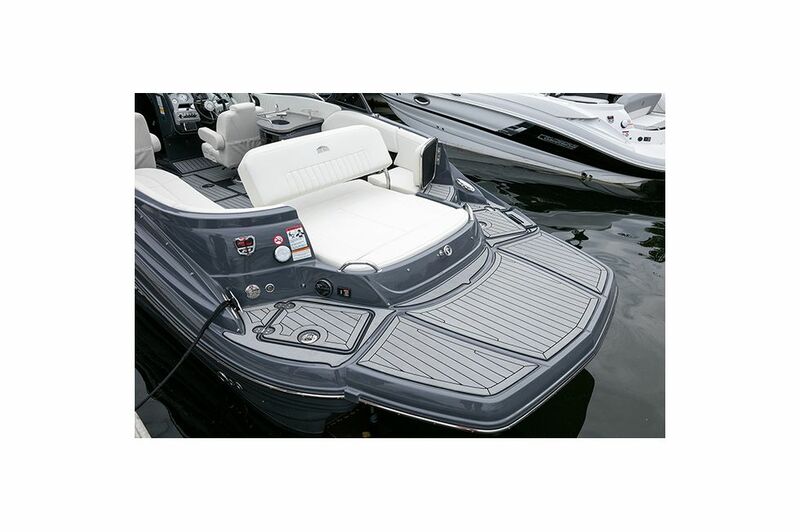 Enter and exit the water conveniently with the 298 South Beach Edition - Bow Rider's sturdy stern ladder.